A perfect room for you! Every one of our 26 en-suite rooms have either a balcony or terrace with astonishing panoramic views of the sea, the island of Dia, and the Cretan coastline. The sea vistas that pour into our rooms are simply magical and are something you should experience in person. Whether it is during or day or evening, at sunset or under the moonlight, you will be utterly captivated by watching the sun, the sea and the island of Dia. Live like a Happy Cretan! 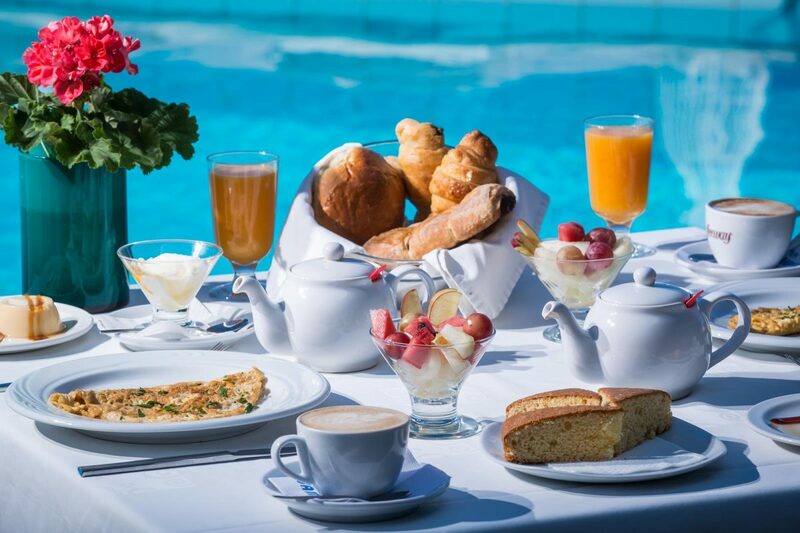 At our Restaurant, you will realise just how seriously we take breakfast. 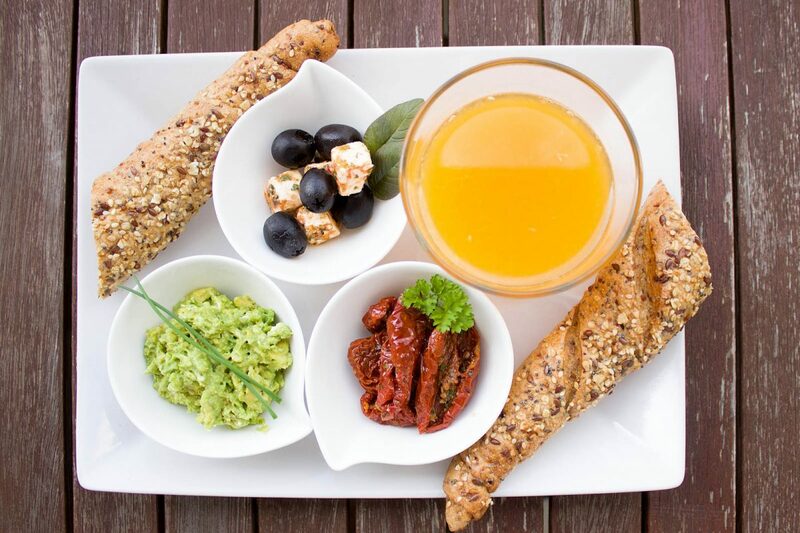 Since it is considered the most important meal of the day, we jump at the opportunity to make your mornings a more than pleasant experience. 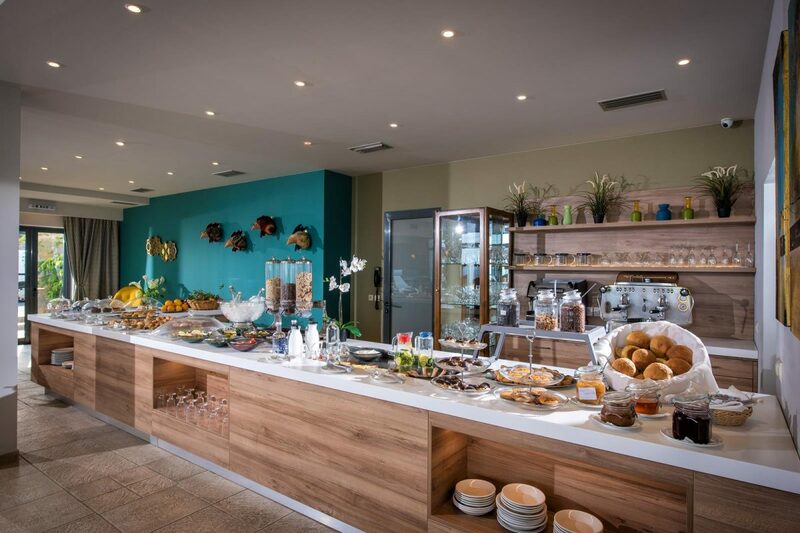 Our Restaurant serves the delectable Happy Cretan breakfast, to start your day in the most delicious way. Savour a variety of options, with a choice of a la carte dishes too, cooked to order, as well as the little treasures of our pastry chef.